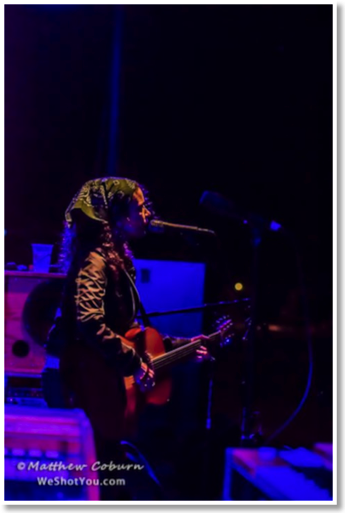 Multi-instrumentalist Tara Nevins is one fifth of the American roots music band Donna the Buffalo and has been active in writing, singing, and playing her music to her fans for 20 years. Nevins has also branched out to record solo affairs such as Wood & Stone and Mule To Ride, which has kept her to the grassroots spirit and tradition. She grew up with diverse musical experiences ranging from classical music and ‘60s pop music to Appalachian folk and Cajun/Zydeco grooves, and her music continues to evolve. In this phone interview Nevins reveals her interests for different types of music, the importance of festivals, and future projects. Jeff Boyce: What are some of the greatest memories you have had with Donna the Buffalo? Tara Nevins: This is a hard question because there are so many great memories. Touring across the country and other parts of the world such as Italy and Jamaica. We’ve played so many festivals that we’ve become like family members. Some other great memories include working with Jim Lauderdale and our new video “I Love My Tribe.” Check it out! We’ve had a lot of support from radio and fans. Again, so many things. Donna the Buffalo has often been referred to as a jam band. What do you feel about that concept? I think people use that term for us because we’re on the road most of the time, and we do jam. But we’re more than that; I’d say we’re an Americana band. However, we absolutely respect and enjoy jam bands. If you could make a Donna the Buffalo retrospective collection, what songs would you include? What are your thoughts on current music festivals and other venues of live entertainment and how important are they? Festivals are very important. They not only provide music but they also give a feeling of community. It brings people together and creates opportunities. It’s wonderful to reach so many people with your music. People get to hear music that they normally don’t hear on the radio. We love festivals; we’ve had our start with them. Working with musician and producer Larry Campbell for Wood & Stone, any other artists and producers you wish to collaborate with and why? I don’t like rattling a bunch of names, but I’ve been very fortunate to work with people like Larry Campbell. I’ve met many incredible people. Any musical styles or sounds you’ve discovered and enjoyed? Well, not anything new really. I really like old-time music, old country, some of the new country music. I love Americana, traditional African music, and traditional Irish music. I love hearing it and am inspired by it all the time. Explain your thoughts on music downloading. Music is very accessible to people now, the general public. I think musicians and the general public are more connected than ever before. Because of festivals and social networking, I think that community is needed. Sometimes downloading can be O.K. What future projects should The Herd be on the lookout for? I hope everyone will check out or new record that comes out June 18 called Tonight, Tomorrow and Yesterday. A track on there called “I Love My Tribe” is out as a video, and as we speak, it is being premiered on CMT (Country Music Television). I’m very excited about it! We’re also working on a second video. Come out to our shows and check out our Website!